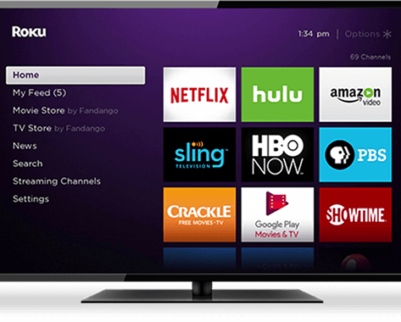 Roku is the company that pioneered streaming for the TV. Roku® makes streaming players that connect to your TV as well as Roku TVs™ that have the streaming experience built in. Just connect them to the Internet, set up a Roku account, and start streaming. Roku is a more convenient and cost effective way to watch TV. Tons of FREE content – Get live news and movies on The Roku Channel. Plus free channels like YouTube, CW, and PBS. Hollywood blockbusters – on channels like FandangoNOW, VUDU, Amazon Instant Video, and Google Play. Live TV and sports – on subscription channels like Fubo, Sling TV, WatchESPN, and CBS All Access. Original content, movies, and the latest TV shows – on subscription channels like HBO NOW®, Starz, SHOWTIME®, and Hulu.